There’s something primal about eating a slab of ribs. Regardless of how they’re cooked, or how they’re seasoned, ribs command an intrinsic carnivore undertaking to strip meat from the bone. It was a clear, perfect day – the kind of day that warrants a slow saunter and the need to do nothing but sit and enjoy the warm air. But lingering in me was a deep desire to tap that primordial nature, and eat something with your bare hands. Slow cooking continues to be something that I love and appreciate more and more, and when it comes to pork, is a moral imperative. For this recipe, my only regret is that the craving didn’t come earlier, which would have offered the opportunity to cook at lower temperatures even slower. 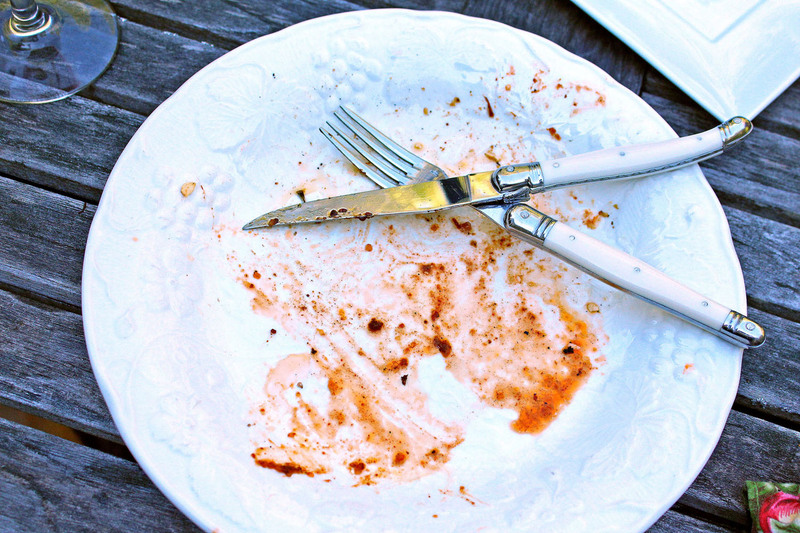 However, with the hunger firmly rooted in my mind, we set out to achieve the satisfaction that comes from a well prepared messy meal. 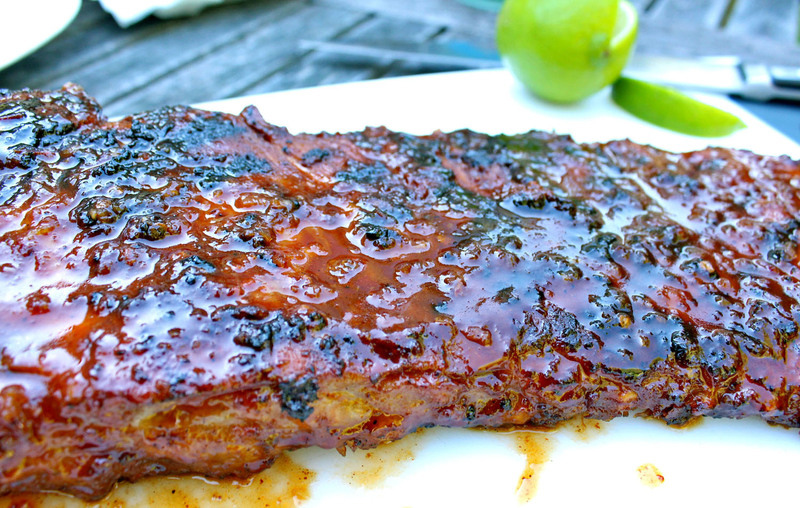 Roasting the ribs in the oven before finishing on a hot grill creates a more tender result, and the tequila glaze, with hints of lime, added the sweet and tanginess that balanced the spicy rub. 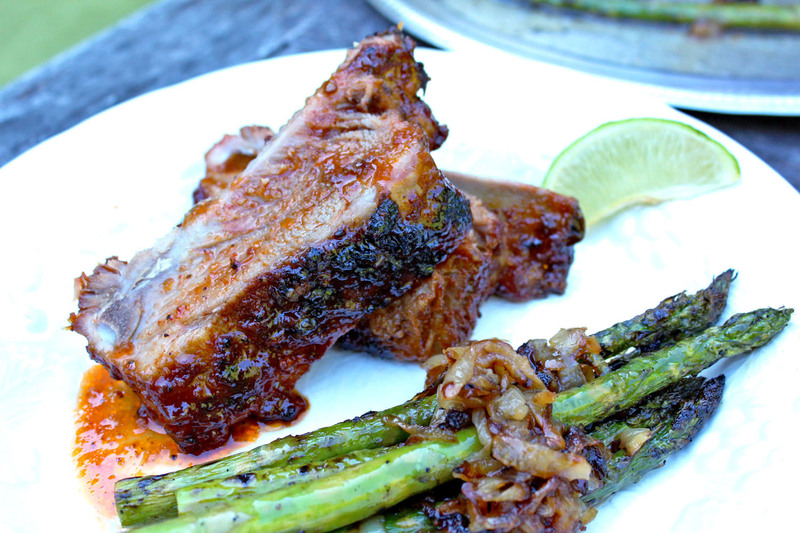 Accompanied with grilled asparagus and caramelized onions, this dish made a relaxing day just that much better. TIP: For extra juicy pull-from-bone texture, roast at 250°F for 3 hours. Season ribs with salt and pepper, and rub both sides with spice mixture. Place ribs on baking sheet with foil and wrap to cover. Roast in oven for 2 hours, then remove and finish on hot grill to crisp based both sides with glaze. In a saucepan on medium high heat, add shallot and garlic and sauté for 3 minutes. Add tequila and tomato paste and bring to boil. Stir in brown sugar, lime juice, lime zest, orange juice, agave nectar, and ancho chili. Season with salt and pepper and simmer for 20 minutes, then remove from heat and let cool. Transfer to food processor and process until smooth. In a skillet medium heat, add tablespoon of olive oil and sliced onions. When onions start to sizzle, reduce heat to low, cover, and simmer for 40 minutes stirring every occasionally. Cook until golden brown, and then remove from heat. 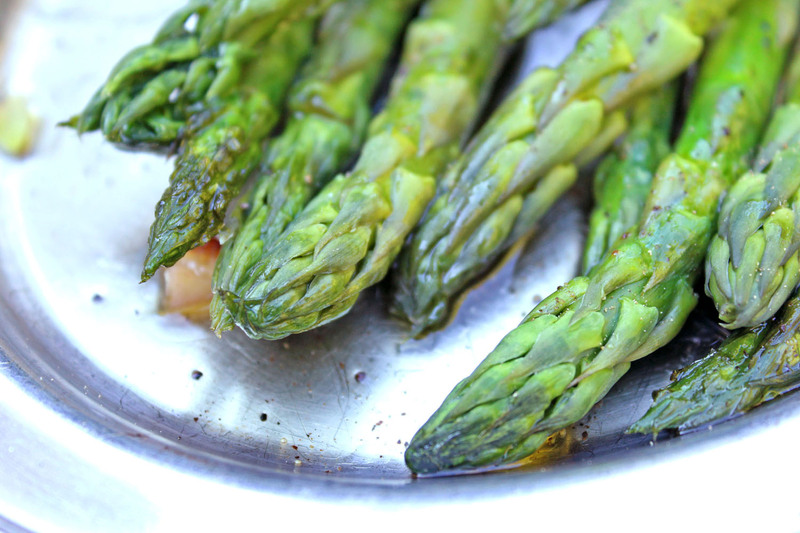 For asparagus, season with olive oil, salt, and pepper, and grill for 5 minutes until just crisp. This entry was posted in Cooking, Main Dishes, Summer and tagged Pork, Vegetables by cfaust. Bookmark the permalink.